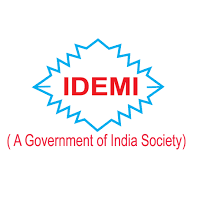 IDEMI Recruitment 2018 – Institute for Design of Electrical Measuring Instruments (IDEMI) Job notifications for 29 vacancies of Apprentice Trainees in various trades. The detailed eligibility criteria and application process are given below. Educational Qualification: Passed in ITI certificate in Relevant trades from recognized NCVT with a minimum of 50% marks. Eligible trades are – PASSA/COPA, Electronic Mechanic, Instrument Mechanic, Fitter, Machinist, Machinist (Grinder), Tool & Die Making, Mechanic Machine Tool Maintenance, IT&ESM, Electrician, Turner. For female candidates are not eligible for Fitter, Machinist, Machinist (Grinder), Mechanic Machine Tool Maintenance & Electrician trades. Note: Candidates who have already undergone or are currently undergoing apprenticeship are not eligible to apply. Engagement of Apprenticeship Training: One year or Two years. The selection process will be based on the Merit list. Merit list prepared based on marks secured in ITI examination. How to apply for IDEMI Recruitment 2018 for Apprentice? All interested and eligible candidates can apply for this position in online latest by 15 September 2018.